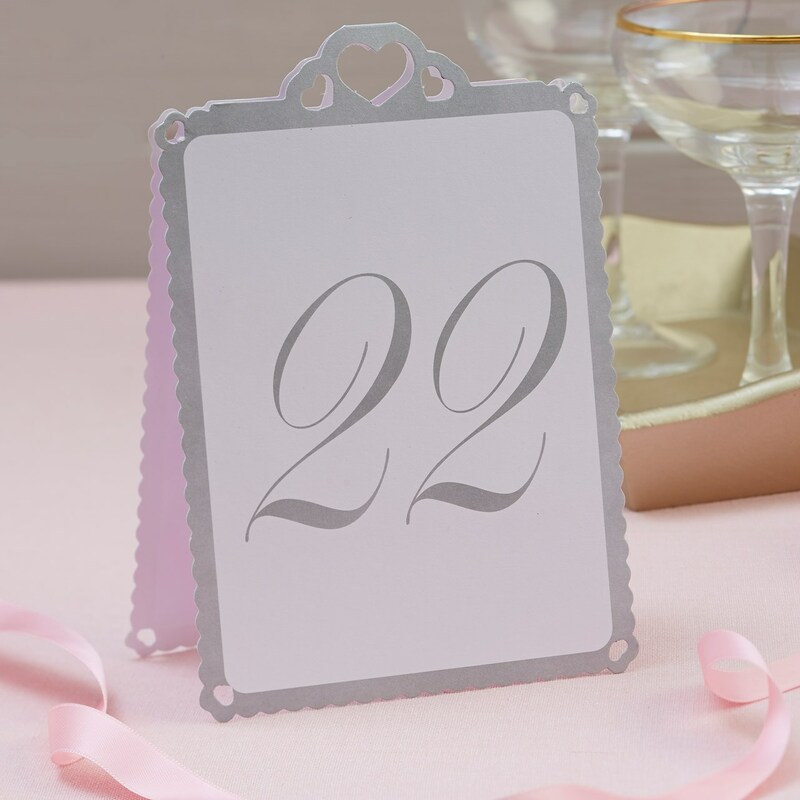 Free-standing table numbers for weddings or parties. Silver numbers 13-24 printed on quality white card. Fabulous for a wedding with a heart theme and as they are free-standing they do not need a table number holder so they are obvious but unobtrusive.